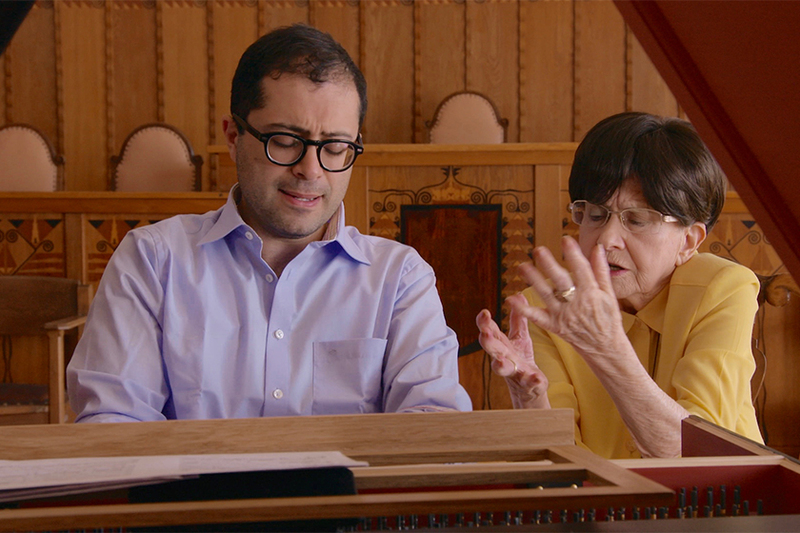 The dark and triumphant story told by Zuzana Ruzickova, nearly 90, and how she became a world famous harpsichordist and interpreter of Bach under the Communist regime in Czechoslovakia. Born in then Czechoslovakia, Ruzickova was a teenager when she was imprisoned first in Terezin concentration camp, then Auschwitz, and was transported to Bergen-Belsen before being liberated in April 1945. Remaining in the Czech Republic, but refusing to become a Communist, she was the target of sustained harassment under the regime, but her growing international reputation ultimately helped insulate her from imprisonment. A bestselling recording artist and renowned performer and teacher, the remarkable spirit and courage of this 90 year old artist is infused into every frame of the film. A compelling portrait of a remarkable woman, Zuzana’s story is at its best when she herself is telling it. Her charisma, charm, humor, and strength remain an inspiration to all. (USA, Czech Republic 2017) Q&A with special guests Peter Getzels and Harriet Gordon Getzels. Run Time: 1 hr 23 min.